January 18, 2015 / Rachel C.
Hello everybody! I am in a surprisingly good mood considering I’ve decided not to follow through on the CYNA Winnie the Pooh nail art challenge. Want to know why? My missing suitcase was delivered to me yesterday! That means all of the pretties that I thought were lost forever are now at home in my dorm room. It was the task of unwrapping and organizing all of them that kept me too distracted to do nail art yesterday, so I just decided to move on to other things instead of playing catch-up. 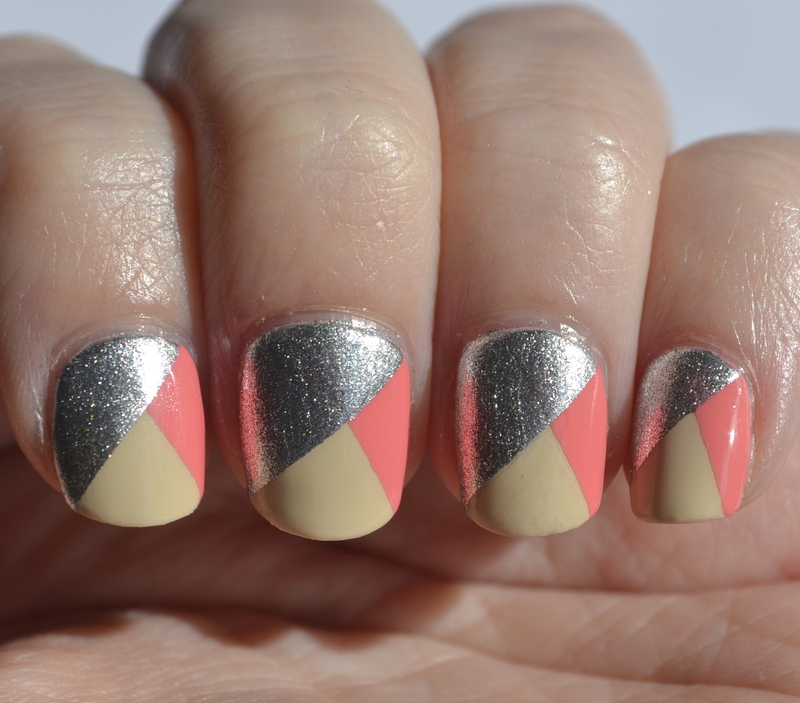 That being said, this mani is actually one that I did back at the beginning of this month. I used OPI You’re So Vain-illa, My Signature is DC, and Sorry I’m Fizzy Today. 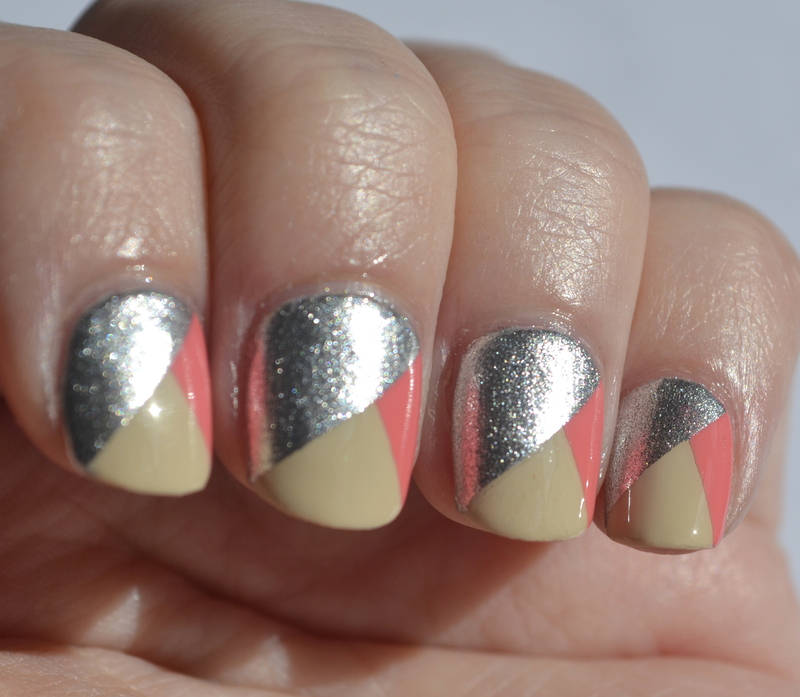 These were sort of inspired by the braided nail art look, but then I decided I wanted asymmetrical triangles instead. That basically just means that I wasn’t as paranoid about even tape placement as usual. I like it how it looks. And I really like the color combination. I was also really impressed with the polish application. Before buying the Coca Cola and Nordic collections, I didn’t really have many OPI polishes, so it always surprises me just how wonderful the coverage is. With the tape and the great polishes doing the hard work, I didn’t struggle with painting this mani at all! These are so fab! Loving the colour combo!